Building memories. Inspiring our future. The Friends of Williamston Parks is a volunteer community group working to enhance the quality of life of Williamston area residents by funding, planning and implementing local park improvement efforts. Through recreation opportunities and encounters with nature, we believe Williamston area parks are vital to the community’s character, an asset to economic development and beneficial to people of all ages. The group's current efforts focus on raising funds for a new playground at Volunteers Community Park on the corner of Putnam and School streets next to The Commons. Four elements are planned: a play structure, four swings, a Ten Spin that allows one to stand or sit while spinning, and a Tri Trotter which provides three children the opportunity to bounce at the same time. Join us on Facebook for all the latest news! Click here to see our page! 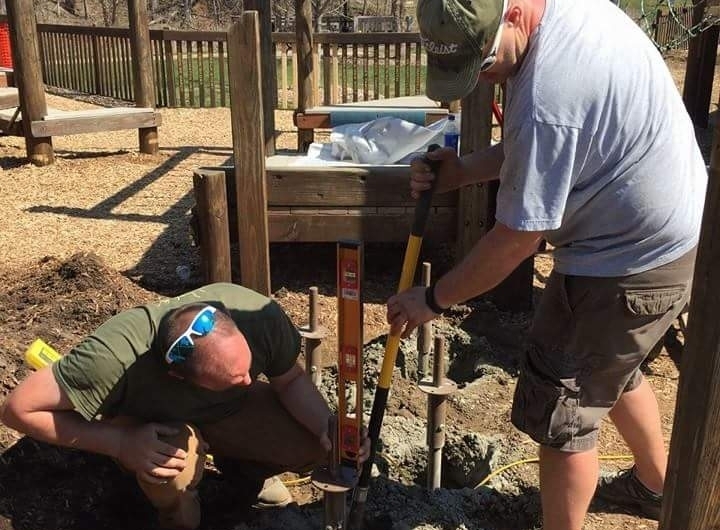 In June 2016, Friends of Williamston Parks identified its next priority—a new playground in the city park at the corner of Putnam and School streets. As a fully volunteer-run organization, FOWP needs you! Find out how to join this great group of people and make our community a better place for all. Click here to find out why donating is important.